Looking for private in-home or in-studio Songwriting lessons? Our White Plains teachers are ready to get you started. Find your teacher today! Check out some of our most popular teachers near White Plains, NY including New York, Brooklyn, Bronx, Jersey City and Astoria. I've worked with world-class songwriters, and love the craft and creativity of songwriting. I have extensive experience composing and writing, and have recorded 100 of my works. Let me teach you songwriting secrets and music theory so you can start creating your own music right away! I will break down the nuances of songwriting in a friendly, clear, and articulate manner. We will discuss various concepts of songwriting in the styles and songs you enjoy most. A graduate of the University of Rochester with a B.A. in Music and Psychology and trained at renowned National Guitar Workshop, Adam is an experienced teacher and performer on the guitar, piano, ukulele, and bass in a variety of styles, including rock, pop, jazz, classical, and folk. Adam loves to share his passion for music with others, and ever since his first student, an autistic child, Adam has sought to make learning music fun, regardless of age, style, and ability. ic obviously requires preparation outside of lessons, I consciously avoid asking students to practice. Instead, I incorporate the music and styles that appeal most to the student and use them as vehicles for teaching concepts. I strive to make learning music fun, regardless of age, style, and ability. I organize an annual recital to showcase my students' talents and hard work. I will provide all music and instructional materials, and ask that students provide a clean, quiet area to hold our lesson, ideally with a music stand. I also ask that a student provide their own instrument. If providing an instrument is not possible, I ask that the student notify me so I can provide an instrument for them in the interim. I specialize in a wide range of styles on the acoustic and electric guitar, piano, ukulele, and bass. I explain music theory in a fun, clear, and articulate manner and show its benefits and application in song writing, learning music, and playing by ear. My extensive background in rock, classical, pop, folk, and jazz allows for a truly cater my instruction to my student's tastes. I make it my mission to structure my lessons on my student's goals and interests and avoid imposing concepts that don't interest my students. Adam is awesome! Thank you so much! Adam is a teacher par excellence. I am self taught from a well known book. I was doing well I thought until I got stuck. Adam gently showed me where I erred and made great suggestions for me to move on correctly. I never felt rushed or “ put down.” Adam was patient, open for questions, encouraging, comforting. I know I need much help to correct and advance in guitar from matters such as tuning, restringing, reading, and other things too many to write about. I look forward to my next lesson with enthusiasm. Adam is prompt, professional and patient. He allows you to learn at your own pace and makes lessons fun by teaching popular songs. Writing songs is almost like breathing for me. It is a great source of joy in my life and I've been helping others find that joy for many years. Whether you are a beginner or seasoned songwriter I can help you shape and improve your writing skills, find your way through writers' block and inspire your creativity to a whole new level. There is nothing better than a well-crafted song. From the melody to the harmony, from the lyrics to the accompaniment, I will help you explore every aspect of your music and provide thoughtful feedback as you work. I have been writing music since I was very young, and teaching composition for about six years. My goal as a songwriting teacher is to help you bring your ideas to life and get them down on paper. Guided by your creative ideas, I will provide structure and help you set goals to produce your best work! My name is Joseph P. I began playing the piano and writing music at a very young age. I've been teaching for over ten years, and I love sharing music with my students. I specialize in piano, composition, and music theory, and I play many genres ranging from classical to R&B. I'm currently pursuing a PhD in Music Composition at The Graduate Center, CUNY, and I have taught undergraduate courses at Queens College, CUNY. Joey is a great teacher. I take regular piano classes with Joseph and he's simply the best! He has a deep understanding of music theory and is very attentive, patient and friendly. Would rate 6 stars if I could! Learn how to write a song, whether starting from a catchy chord progressions or a melody you can't get out of your head. Once your song is complete, we will record a track for you to share with friends and family. I am a very experienced songwriter and I love workshopping with other artists. I've co-written songs with Chris Eaton (Janet Jackson, Keith Urban, Amy Grant) and Jay Stolar. I can help you make the track and write the lyric. I can teach you how to write a song. We will explore topics that are important to you and go from there. Hi! I'm Emily. I am a violinist who lives in Brooklyn. I am also a music artist, producer, songwriter and singer. I began learning to play the violin at age 3. I've played in many orchestras throughout high school and college. During high school I would teach lessons to young children in the neighborhood who wanted to learn violin. I can teach you classical violin or how to make your own unique sound. My style of playing has evolved from classical to electronic. I use a lot of pedals to create different sounds with the violin for my artist project and live shows. Love old-school standards and musical theater? I am an internationally-produced, award-winning musical theatre composer and lyricist, and I'd love to help you learn how to craft a stylish song in the tradition of the 20th Century masters, and how to tell a story and develop characters through songs. I love working with students to deconstruct songs you love and figure out their structural tricks, both lyrically and musically, and can help you to figure out how to apply those structures in your own work. Can also work with you on music theory, notation and computer technology for getting your music written down. I am an internationally-produced composer and lyricist, with over 15 years of experience in musical theater and composition. I have studied at Juilliard and the Tony Award-winning BMI Musical Theatre Writing Workshop, and hold a Master of Music degree in Composition from Brooklyn College Conservatory of Music. I am an energetic champion of new music, and a founding member of NYC's Composers Collective. I bring a lot of enthusiasm to my lessons, and love helping my students to grow their understanding of the inner workings of music and lyrics! e it catchy and memorable. I love working with students to take classic songs and pieces apart and figure out what makes them work, and to then help students use these techniques to make their own work soar! 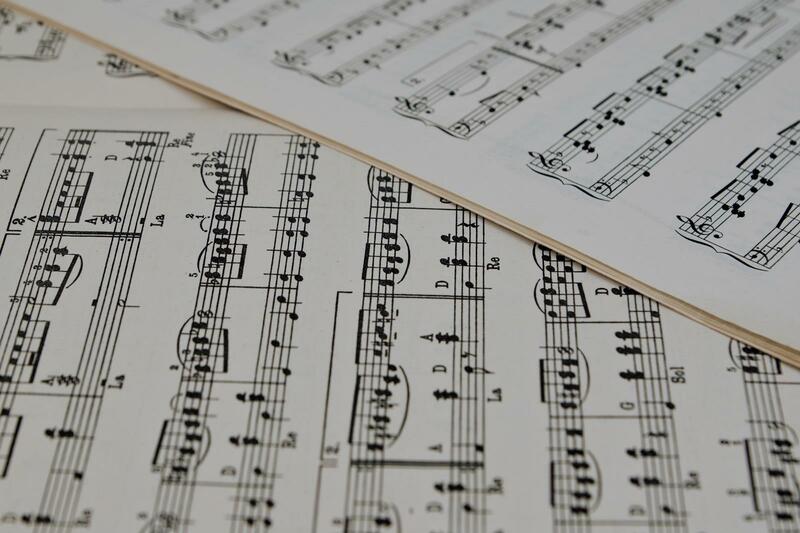 Music Theory students can expect to learn the mechanics of music in a fun, upbeat setting, and develop their understanding of the music theory through familiarity with the keyboard, notation, and fun composition exercises. I took a songwriting class that Kit taught at Schenectady County Community College, and it was a lot of fun and extremely helpful! She knows tons about all sorts of song genres both as a composer and a lyricist, and helped me understand a lot of basic ideas about music composition that I'd never really grasped. I would study with her again if she were back in town! Can't find a teacher in White Plains, NY? "Indigo is an awesome teacher!" New York, NY teacher: Indigo S.
nd ideas is so vast based on his long background in music. What is refreshing about working with him is he is open to so many forms of music. As he states it, " music is music". it provides a fresh approach. I am very pleased with this expanded viewpoint." nor and puts you in a really comfortable, creative space when she's working with you. I cannot say enough good things about Crystal. She's an excellent teacher and an excellent person." New York, NY teacher: Crystal Rose S.
ll sorts of song genres both as a composer and a lyricist, and helped me understand a lot of basic ideas about music composition that I'd never really grasped. I would study with her again if she were back in town!" New York, NY teacher: Kit G.
g forward to seeing how this all works out." "Desmond is very passionate and full of great ideas that his students can use to help their progress. He's a great teacher!" New York, NY teacher: Desmond M.
digo's approach, and I'm looking forward to continuing these lessons!" New York, NY teacher: Tamara W.
essons. I would recommend James if you’re looking for songwriting lessons."